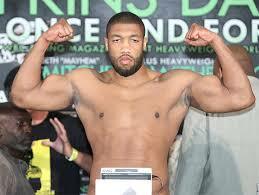 Heavyweight Chazz “The Gentleman” Witherspoon is looking for a big fight in the suddenly hot heavyweight division. In order to get into the mix he will need a victory this Saturday night when he takes on veteran Mike Sheppard in in the eight-round main event on at The Claridge Hotel in Atlantic City. The Witherspoon – Sheppard bout will headline a nine-bout card, promoted by Mis Downing Promotions and Silver Spoon Promotions. Witherspoon, 36-3 with 28 knockouts, is on a six-fight knockout streak, and has not lost in almost six years. Witherspoon will be making his first start since stopping Carlos Sandoval in the 4th round on October 1, 2016. “Everything is good, and despite me having a layoff, I am never too far out of shape, so I don’t expect to have any ring rust,” said the 36 year-old native of Paulsboro, New Jersey. In Sheppard, Witherspoon is taking on a veteran, who has fought a handful of top heavyweights. Witherspoon is done taking layoffs, and he does not expect anymore layoffs. In the eight-round co-feature, Anthony Young (18-2, 6 KOs) of Atlantic City takes on Fidel Monterrosa Munoz (38-16-1, 30 KOs) of Mexico in a welterweight fight. In a six-round bout, John Bauza (8-0, 5 KOs) will take David Morales (13-7, 12 KOs) of Managua, Nicaragua in a super lightweight contest. Dan Murray (3-1) of Lanoka Harbor, New Jersey battles Latorrie Woodberry (1-6-1)of Roanoke, VA in a junior welterweight bout.